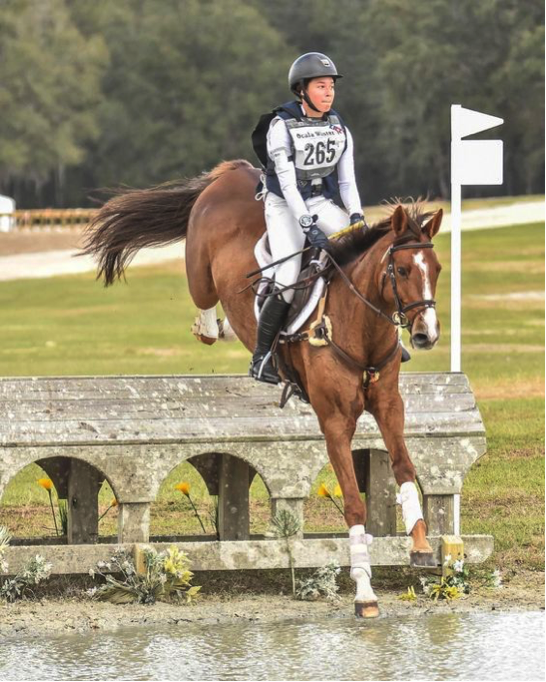 Seaver » Be attentive to your course and your fence approaches thanks to our new jumping features! Be attentive to your course and your fence approaches thanks to our new jumping features! You've probably noticed, recently the JUMPING tab was enhanced with 7 new features. No more excuses now for no longer being attentive to your course and your fence approaches. 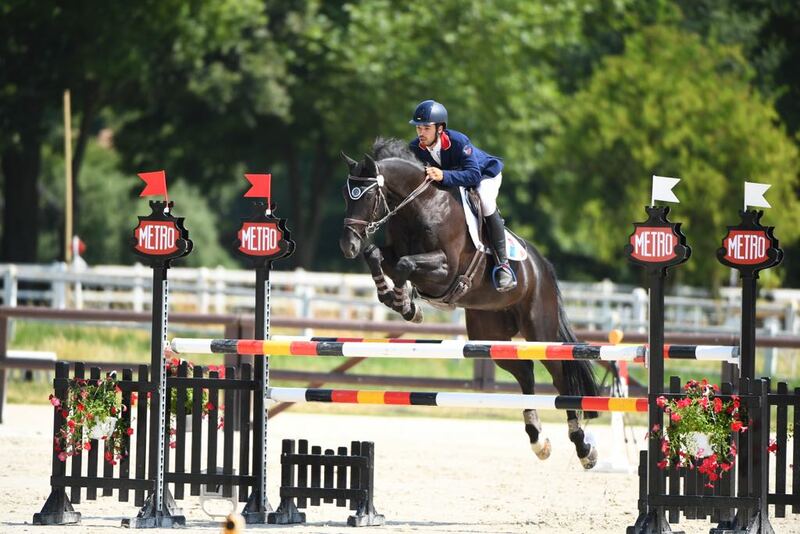 In this article, we help you understand these new features and their interests for your jumping sessions. 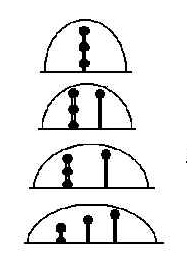 In addition to the jump height, and the angle when taking off, we measure for each jump its amplitude, that is to say the distance between the hindlimbs when taking off and the forelimbs when landing. This distance on the ground allows you to have a better take of your horse's trajectory, in order to adapt it at best and to be more comfortable in combinations and other lines. There is of course no perfect value; it all depends on the fences and what you want. Thus, for a vertical of 1m (the height measured by your Seaver girth will be about 115cm for an "ordinary" horse), we will have an amplitude of about 130cm, whereas it will exceed 250cm for a triple bar of same height. 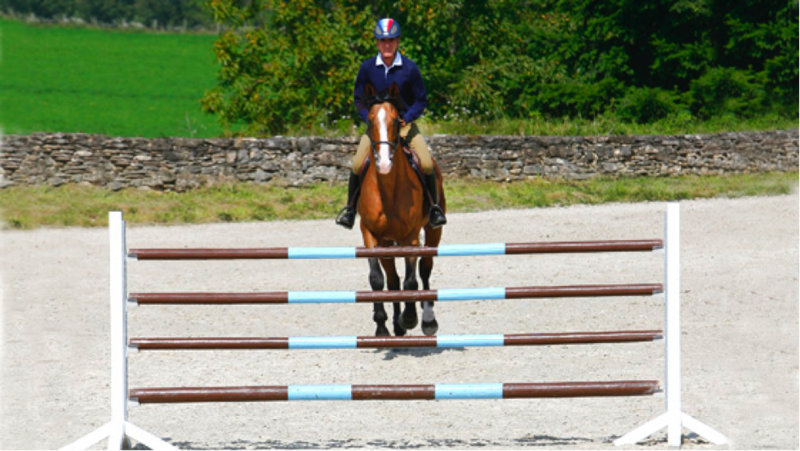 We can easily reach 450cm when jumping an oxer at 160cm, while on the cross-country, a 130cm flying fence will reach trajectories close to 6 m.
The regularity of the strides when approaching a fence, and the absence of break in rhythm, are important elements to qualify the quality of the approach. We measure the cadence on the last 5 strides (less in case of close jumps), and also determine if the cadence is stable, increase or decrease on these last strides. Numerical values ​​strongly depend on the style and the locomotion of the horse: thus a horse of 1m70 with a large amplitude will often be comfortable in a galloping cadence of about 100 strides/min, while a pony of 1m40 will be more often in cadences of 120-130 strides/min. Beware of take off at trot, which give rise to cadences in approach ... at trot! The important thing is the regularity, but it all also depends on your goal: we may wish to approach a fence with an increasing or decreasing cadence, depending on what we are working on. Note that your app gives the evolution of the cadence, that is to say the rhythm, and not the amplitude of strides in approach. Thus, we may have approached an oxer with an “increasing” stride, that is to say, by covering an increasing distance at each stride, but with a decreasing cadence: each stride lasts longer and longer. We calculate the propulsion, that is to say the vertical acceleration deployed by the horse when taking off to defy the earth’s pull and rise above the fence. We measure this value in g ("gé"), as accelerations experienced by pilots during cars or rockets accelerations (1 g = 9.81 m / s2 corresponds to the acceleration due to gravity). The propulsion will always be between 1 g (acceleration necessary to defy gravity and take off from the ground) and 2 g (limit observed for the horse). The propulsion depends of course on the height of the jump, but also on the "explosiveness" of the horse. For fences of about 1m, we will typically have propulsion values ​​around 1.1 g to 1.2 g. For fences of 1m60, we can reach 1.8 g or more. For the same effort, we will often have higher propulsive values ​​for a vertical profile than for a larger fence. The Seaver girth also measures the speed reached by the horse during the ascending phase of the jump. This speed depends on the ground speed of the horse when taking off, but also the strength he develops. It will typically be between 10km/h and 20km/h. We will often have higher values ​​during jump-off, or on flying fences of a cross-country course, and lower on vertical profiles. A low take off speed may indicate a horse that takes the time to jump (it's positive), or a horse that "stops himself" in the air. A high speed may correspond to a horse that throws himself onto the fence and rush, but also to a horse that uses his kinetic energy to overcome difficulties. The perception of the rider (or the coach) remains essential in these cases. 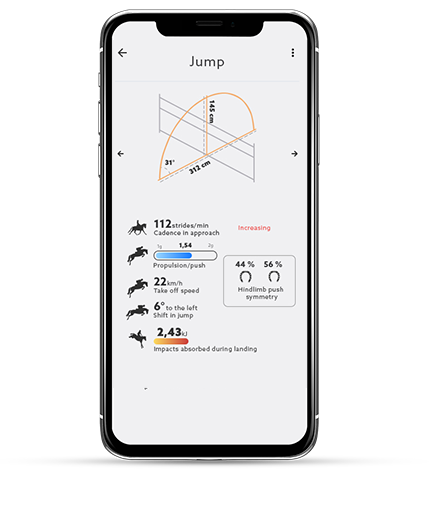 We measure (in degrees of angle) the shift in jump of the horse, that is to say the difference between his spatial orientation when taking off and when landing. This measure absolutely does not reflect the perpendicularity to the fence: we can jump diagonally but by keeping the horse perfectly straight, as we can have a horse that shifts strongly on one shoulder as we approach perpendicularly and in the middle of the fence. The shift in jump must be as low as possible. The horse can be considered straight between 0 and 5°. Beyond 10°, the shift in jump is significant. The most important thing is to check if this shift is constant. Thus, a horse that shifts only once during a session won't have any problem on this side, while we will try to find out more if the horse shifts specifically to one side on more than 50% of jumps. Many reasons can cause such a shift: an asymmetrical rider in his seat, his legs or hands, an apprehension of the landing, pain or discomfort in a hindlimb or back, or simply a natural dissymmetry of the horse. A young horse will often shift by a simple lack of straightness, but we must always try to minimize the shift values. A dissymmetric hindlimbs push is at the root of the shift in jump. We compare here the push of both hindlimbs, to warn you in case of strong difference. Values ​​between 45% and 55% for each hindlimb are quite satisfactory. Below or above, you will have to start keeping a close eye on your horse, especially if the phenomenon tends to repeat on more than half of the jumps on the same side. The "weak" hindlimb is the one where the percentage is the lowest, therefore the one that is on the side of the shift. Remember to carefully monitor the weak hindlimb and back if an asymmetry suddenly appears on a horse usually straight. This value represents the energy absorbed by the horse when landing, mainly by his forelimbs. It is measured in kilo Joules (kJ). The higher the value, the more the horse has dispersed energy when touching the ground. These repeated impacts can cause joint or tendon problems, so try to minimize as much as possible the amount of energy absorbed, jumping lower, less often or fewer times per session. Of course, monitoring the quality of the ground, neither too hard nor too deep, is important. In practice, among other factors, the higher the jump and the higher the propulsion, the lower the energy absorbed. For fences of about 1m, we will typically have values ​​between 0.8kJ and 1.2kJ, not much damaging, while we will exceed 4kJ for fences of about 1m50. During a session, we will try not to exceed 50kJ in total (about 50 small jumps, or a dozen big jumps). Wednesday, 17 April, 2019How to deal with your horse’s anxiety during competitions ? Monday, 10 September, 2018Three Seaver riders on their way to the WEG of Tryon!